The duo with a predilection for glitz and glam has hurtled towards fame, wowing Bollywood and loyal patrons alike. The decades-old brand has always been ahead of its time in experimenting and on-point with its tailoring. 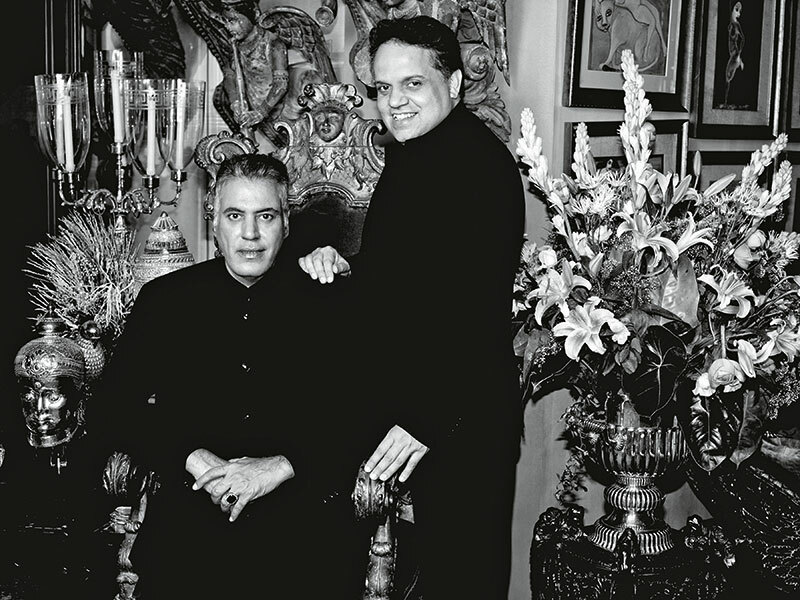 But when Saudamini Mattu, the niece of Sandeep Khosla, took charge as CEO at the house of Abu Jani Sandeep Khosla (AJSK), a revamp was in order. While Mattu steers the AJSK ship through business manoeuvres, design is still very much the domain of the founding duo. For the young businesswoman, the only advice from her mentors when she joined the fashion house was to “take the counsel of others but trust your instinct and go with your gut feeling”. According to Khosla and Jani, young blood enthuses and energises the experienced and acts as a catalyst in reinvention. Her head for business and her passion and commitment toward the brand made her the right choice for the title, they say. 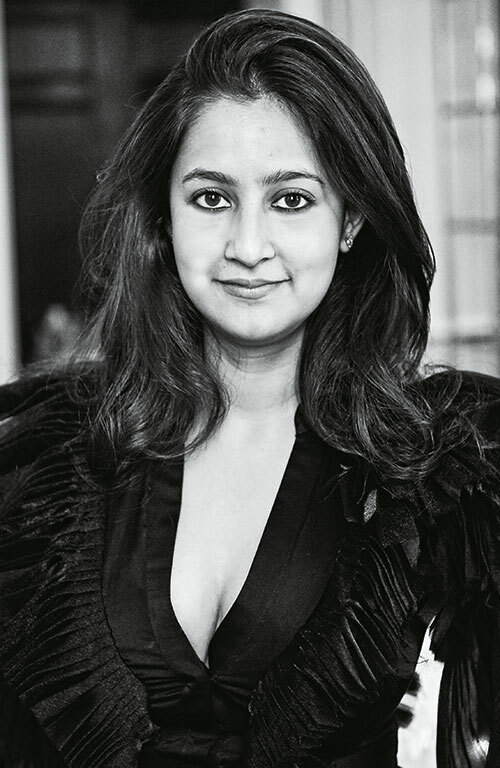 “She is to the philosophy born, and embodies the spirit of the Abu Jani Sandeep Khosla woman ­— fiercely independent, her own boss, discerning when it comes to quality, and style-driven,” assert Khosla and Jani. Prepping for this role involved a tripartite philosophy of living, learning and practising, something the designers follow themselves. “I’ve become more confident as we all do with time and experience. It’s wonderful. They are always open to a new way of seeing and doing,” says Mattu. The handing over of duties to a fresh face and voice was a conscious decision to revaluate the processes. “It was time to have a family member and professional take over the business end of things, leaving us free to concentrate on designing. Creative heads should not be business heads. It’s a completely different calling and calls for an entirely different skill set,” admit the duo. Mattu, who began working in financial journalism with NDTV post-university, later moved on to the corporate sector in financial services. She says, “The opportunity to join AJSK was one I could not resist. The time had come to structure the company for expansion and growth. This required a CEO who understood the design philosophy and knew the nitty-gritty of finance. The role has evolved in the sense that we are more and more ambitious with our plans now. And I am determined to achieve it all”. Their ambition to see the brand grow stronger, gather a new audience, enter new geographies and retail new products and labels has been made easier with the restructuring of business strategies, processes and systems. “My brief is to empower them as creative heads. We’ve started two new labels, diffusion wear label Asal by Abu Sandeep, and Khosla Jani, an international Western wear luxury label. We are formalising our work in interiors and event design with a new division, Jashn,” she says. While the brand is becoming more inclusive and exploring new venues, the CEO asserts that there will certainly be no changes in the design principles: “Why mess with what makes AJSK”.